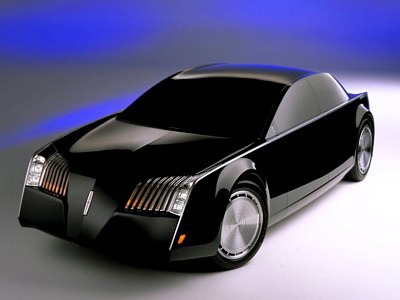 The Lincoln Sentinel concept was a menacing four-door sedan introduced at the 1996 Detroit Motor Show. The concept was styled by a group of designers gathered from Ford's various design centers in the US and Europe. The team used inspiration from classic Lincoln models when designing the Sentinel. Specifically the 1961 Continental and the Facel Vega Excellence. 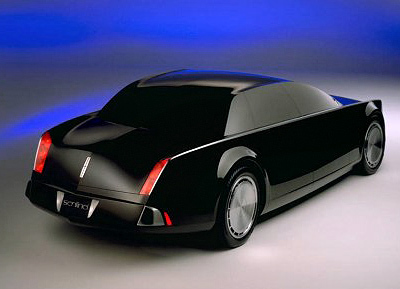 Constructed from fiberglass the Lincoln Sentinel concept featured very simple sharp lines and slab-like proportions which, when coupled with the black paintwork and tinted windows, gave the concept a very sinister appearance. However if the concept was painted in a color other than black the imposing presence would probably be greatly reduced. The Lincoln Sentinel was powered by a 6.0 litre V12 engine - the same engine used in the Ford IndiGo concept. At first the Sentinel concept was shown without an interior. Later the car was fitted with an interior designed by Ghia.